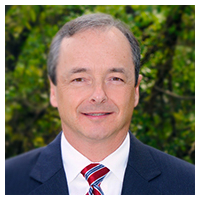 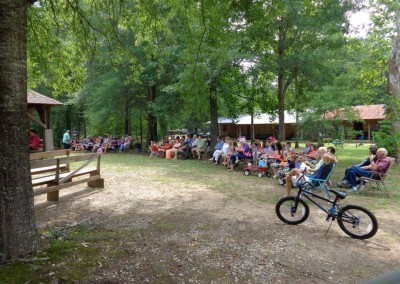 The camp meeting is an annual ten-day revival. 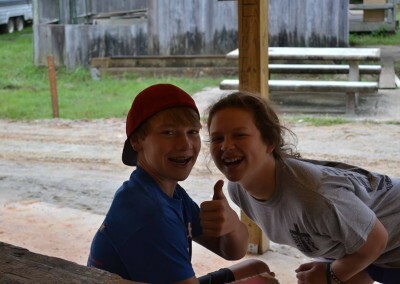 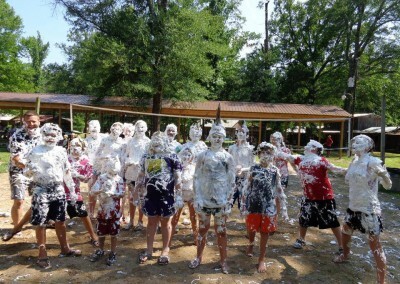 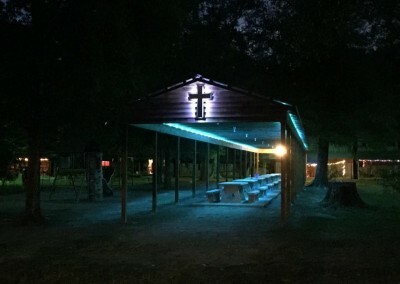 Davidson is one of the oldest camp meetings in the nation and the largest in Arkansas. 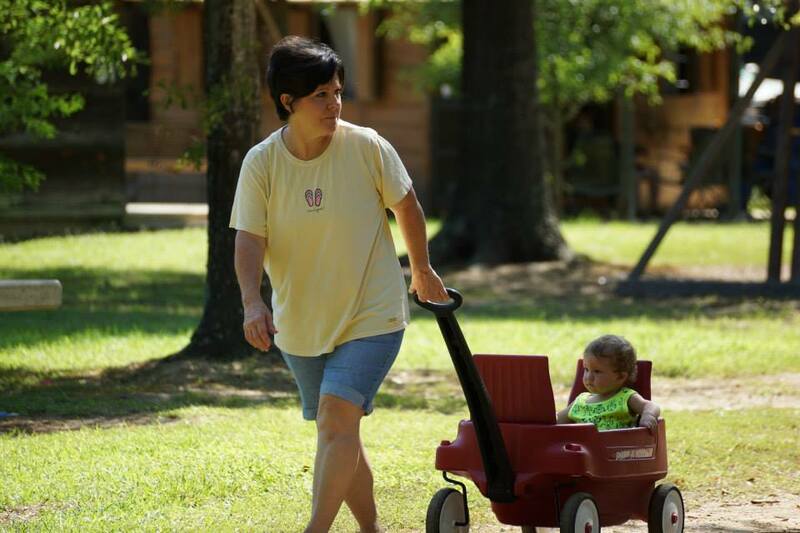 In addition to the nearly 100 wooden cabins that the campers sleep in during the ten-day meeting many campers enjoy the comforts of home by bringing their RVs with air-conditioners. 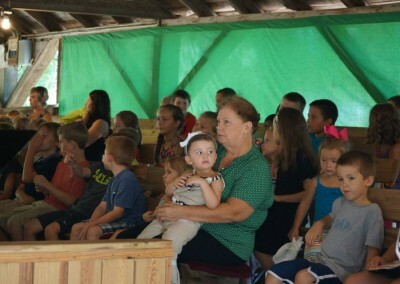 Average attendance at the camp meeting is over 600 campers. 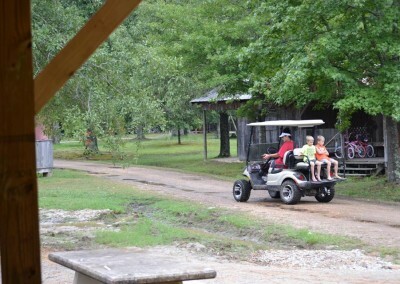 While children enjoy bicycle riding and water balloons to stay cool adults relax on the front porch swings of their cabins. 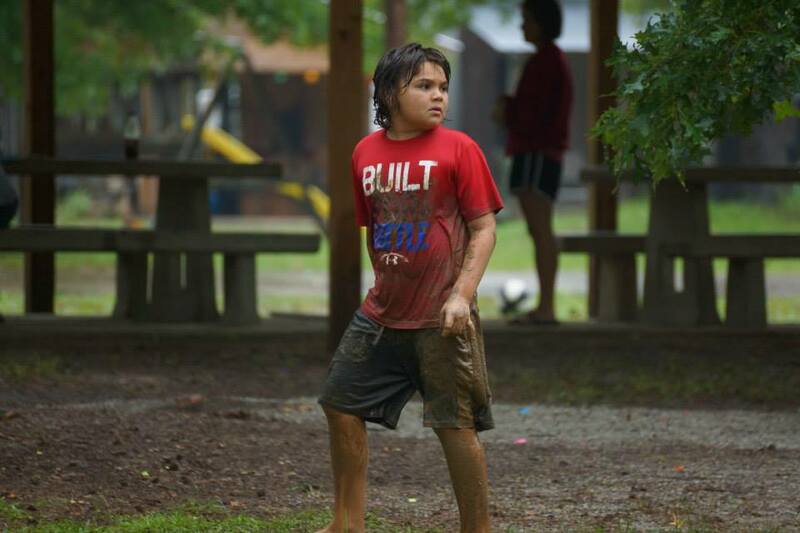 Youth can be found playing volleyball, ping-pong and basketball throughout the day. 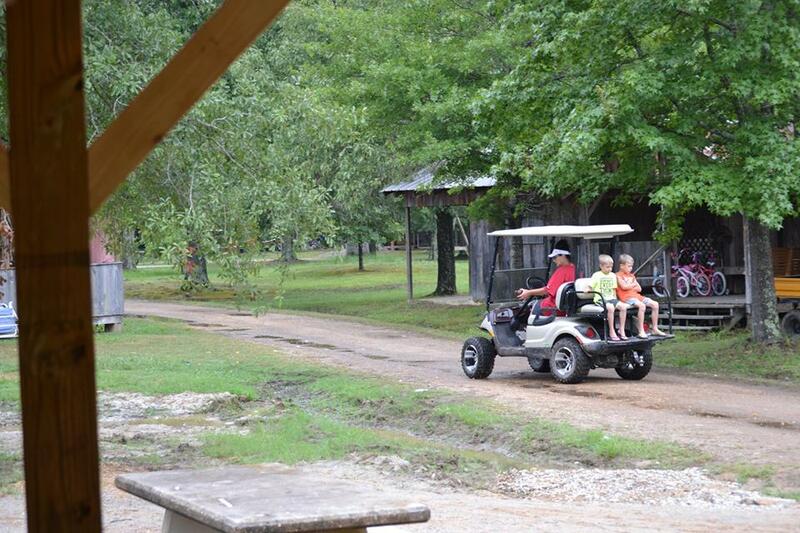 Cool drinks and hand-dipped ice cream cones are always close by at the camp’s commissary. 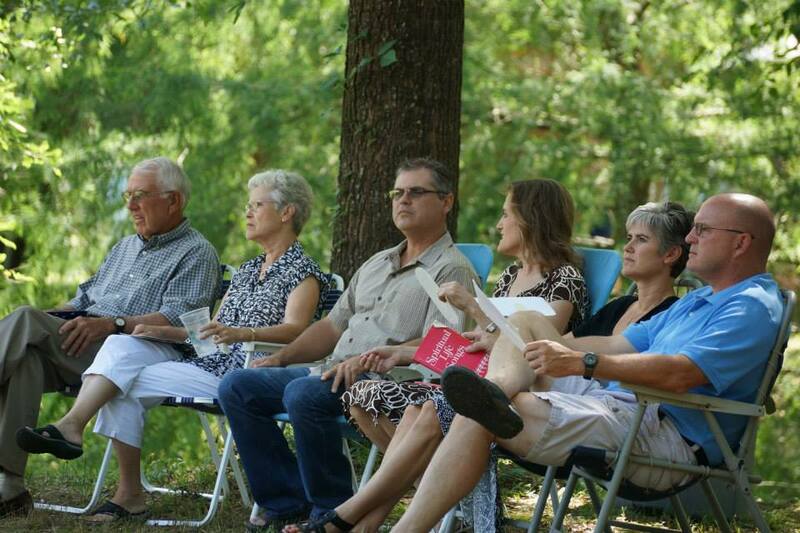 While rest and relaxation is a major activity of the camp meeting, spiritual revival is the focus of the encampment. 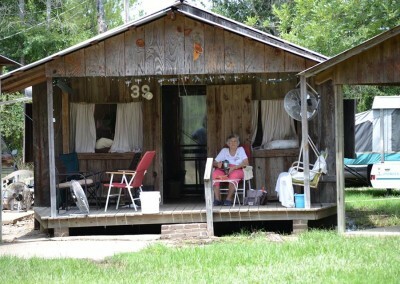 Visitors are always welcomed and encouraged to bring their RVs. 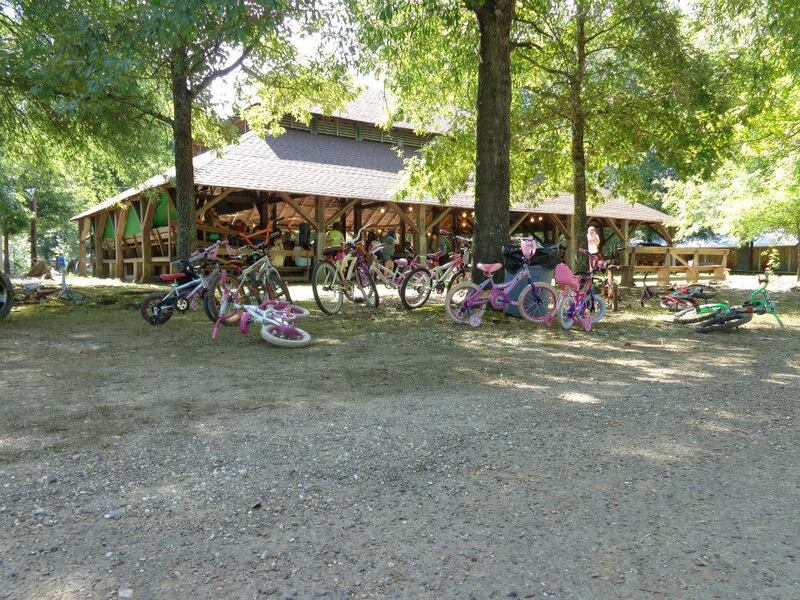 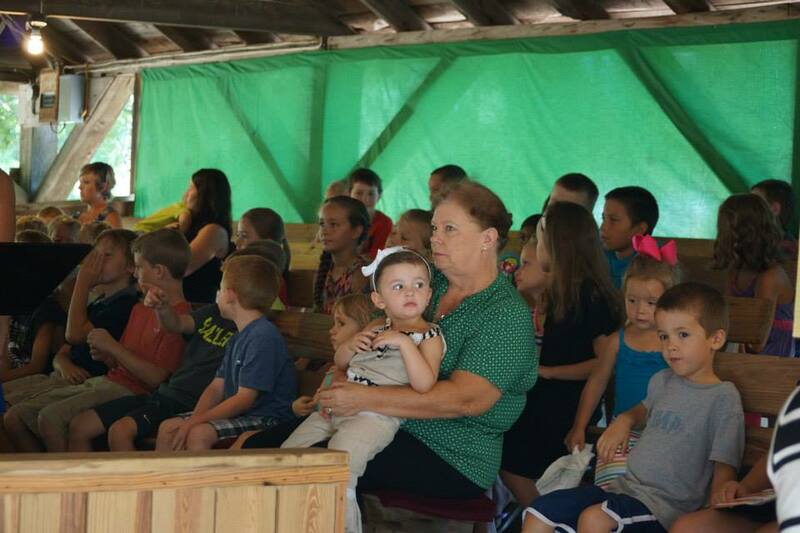 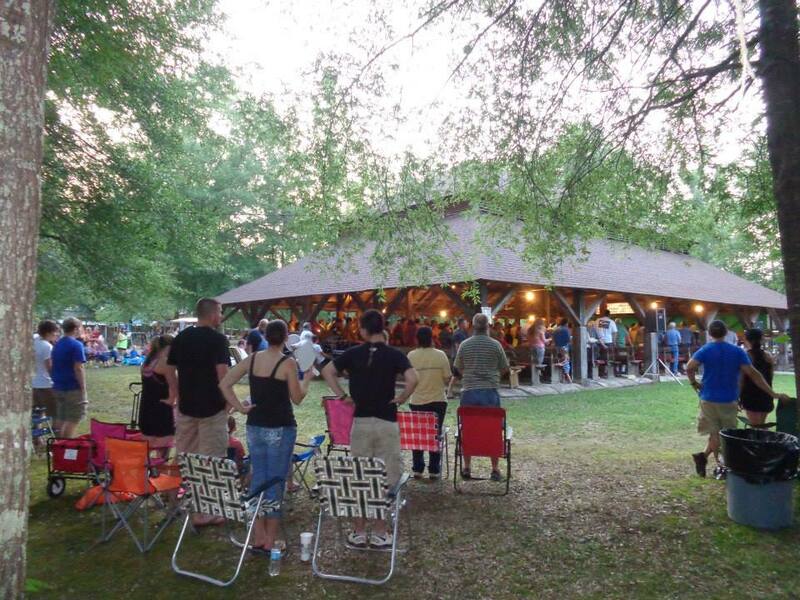 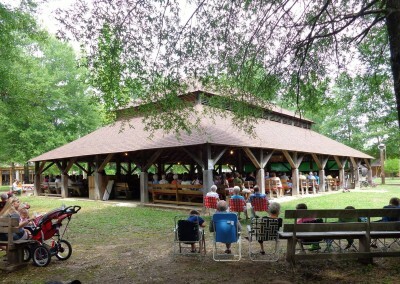 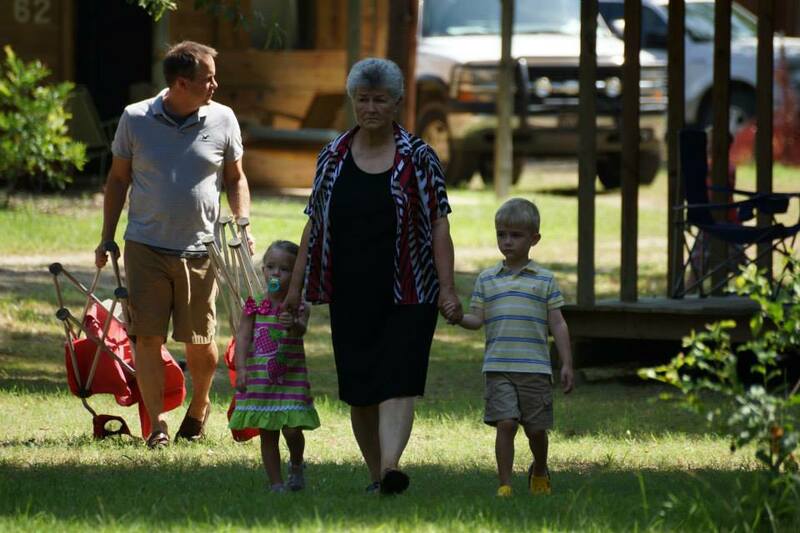 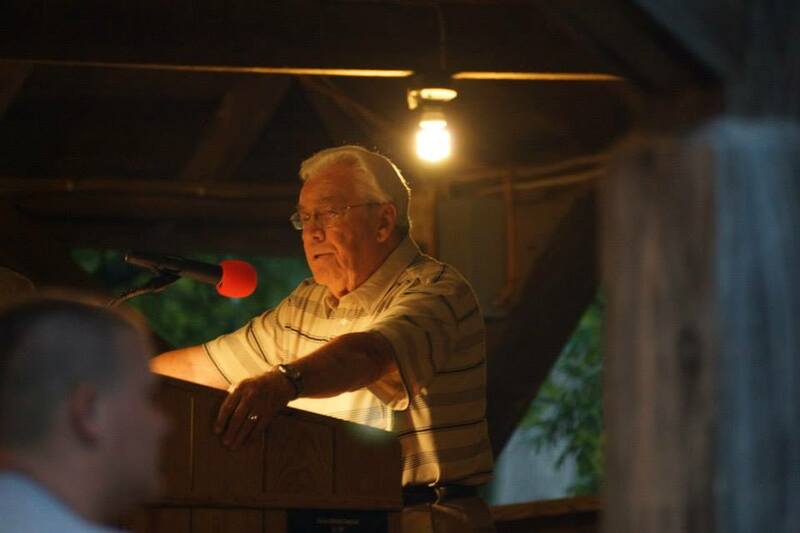 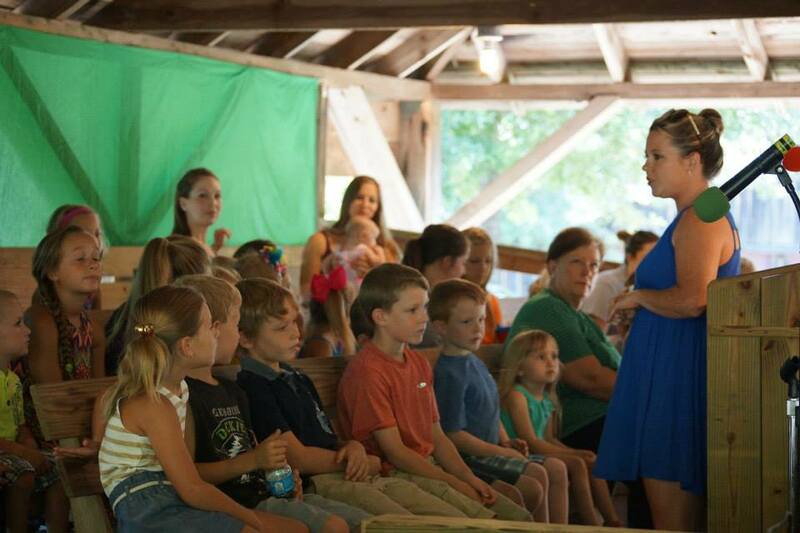 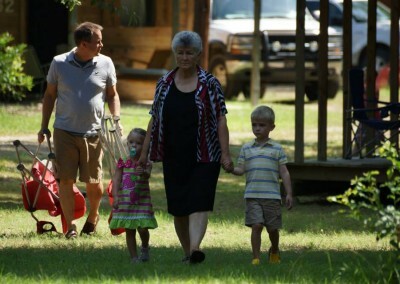 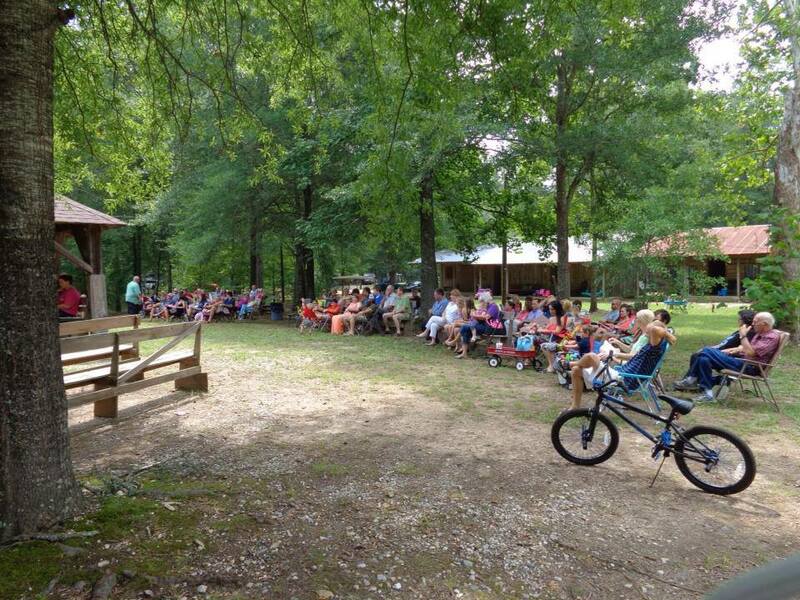 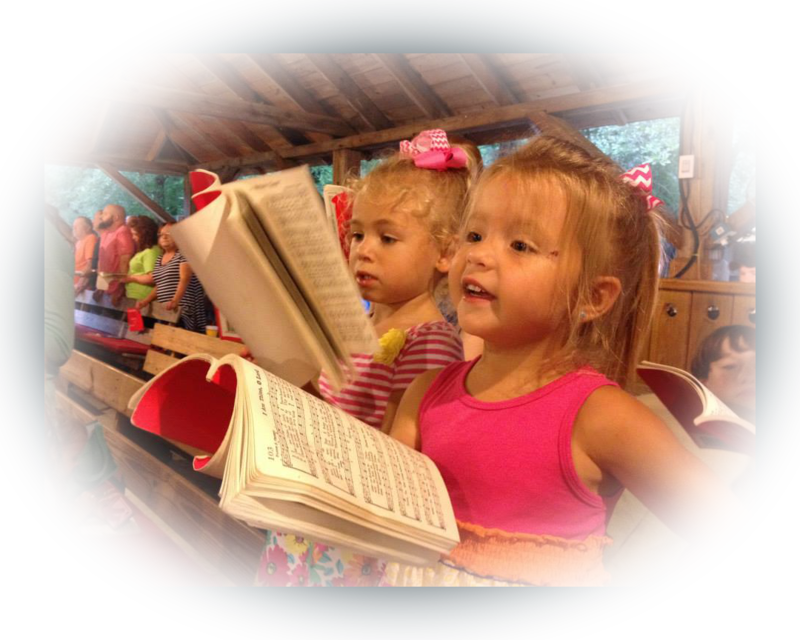 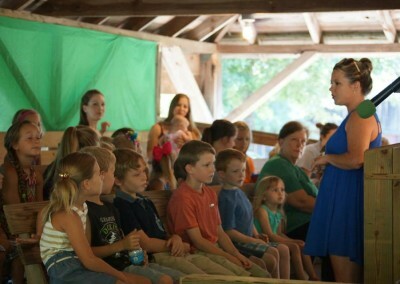 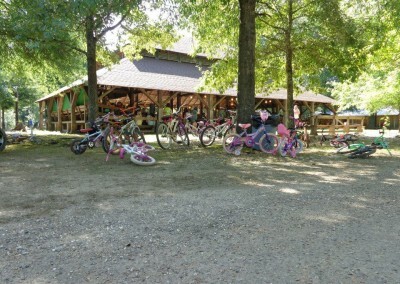 Today the Davidson Campground continues the camp meeting tradition and the church meetings are held there each year. 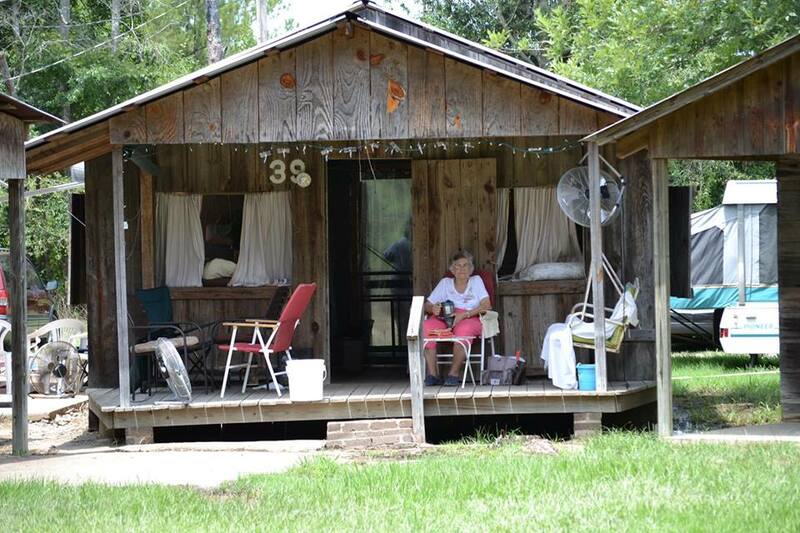 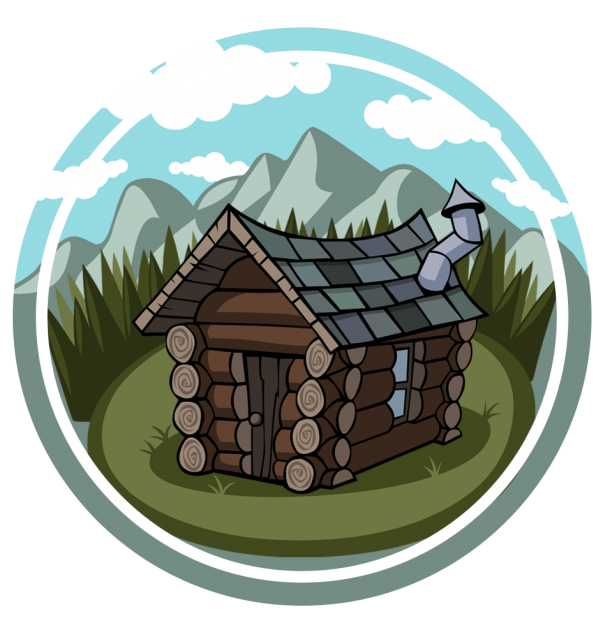 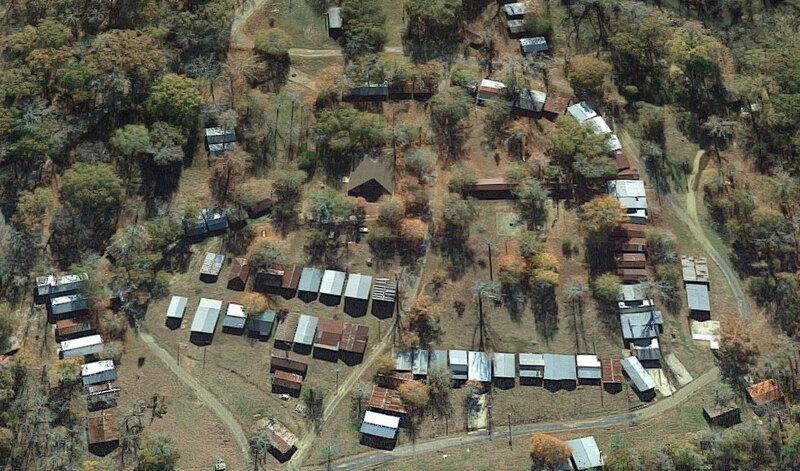 Members still stay in the surrounding cabins that now number near one hundred. 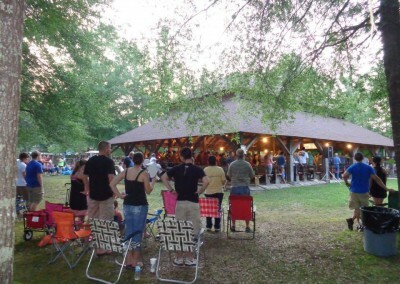 The property still has eight freshwater springs that the meeting uses for baptism, drinking, and bathing. 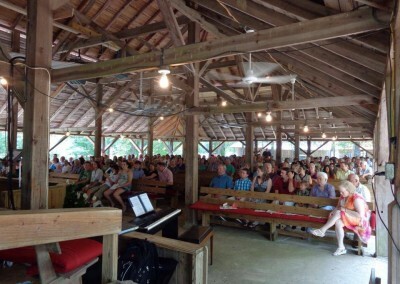 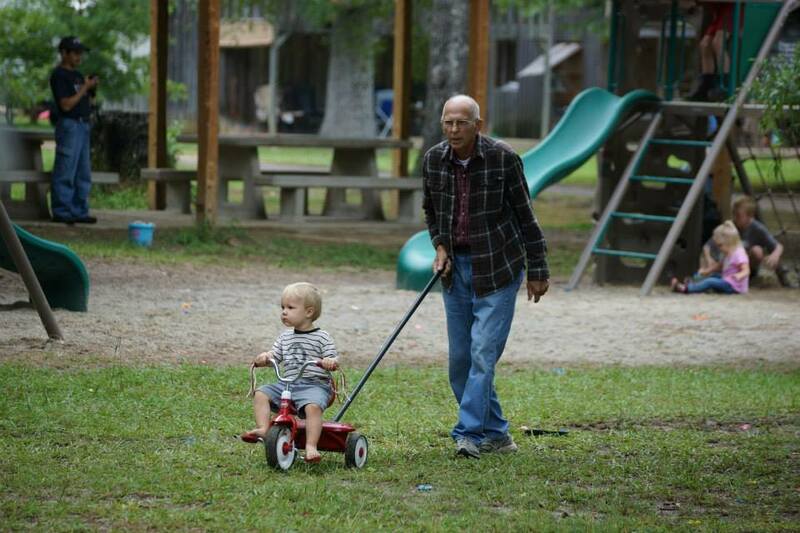 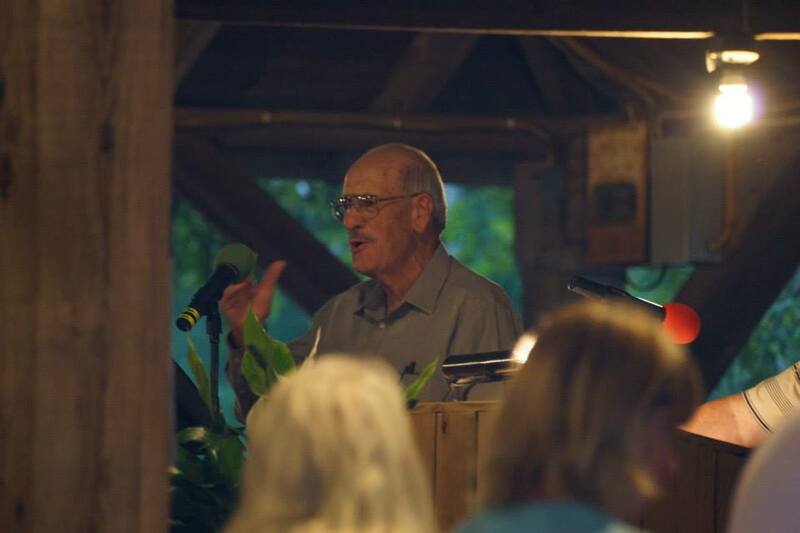 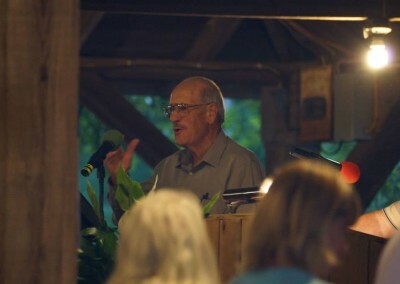 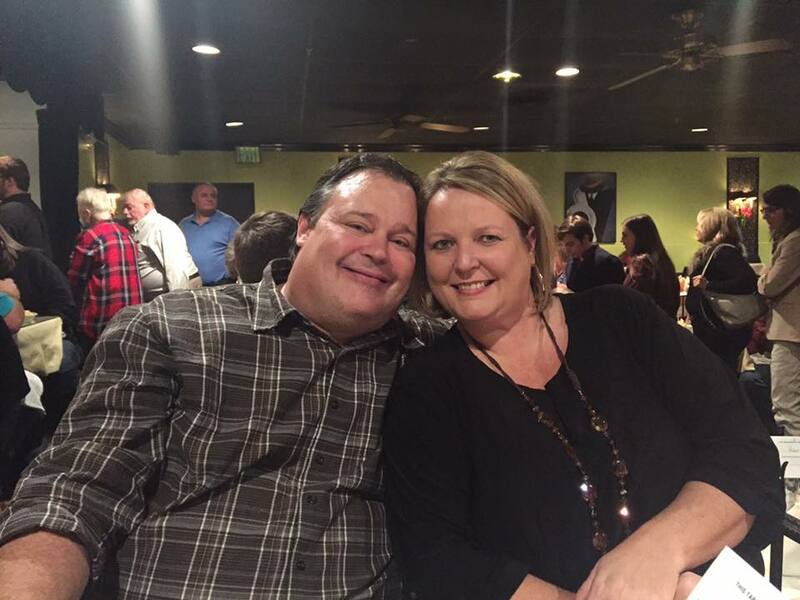 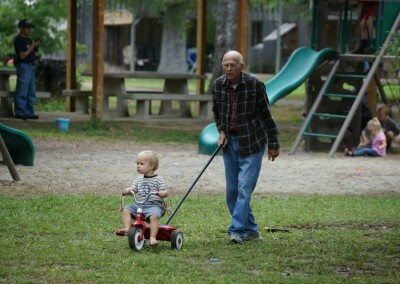 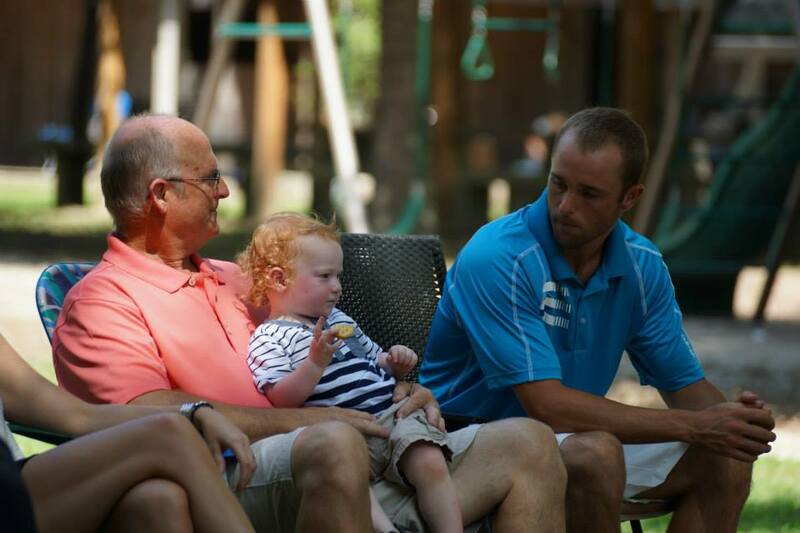 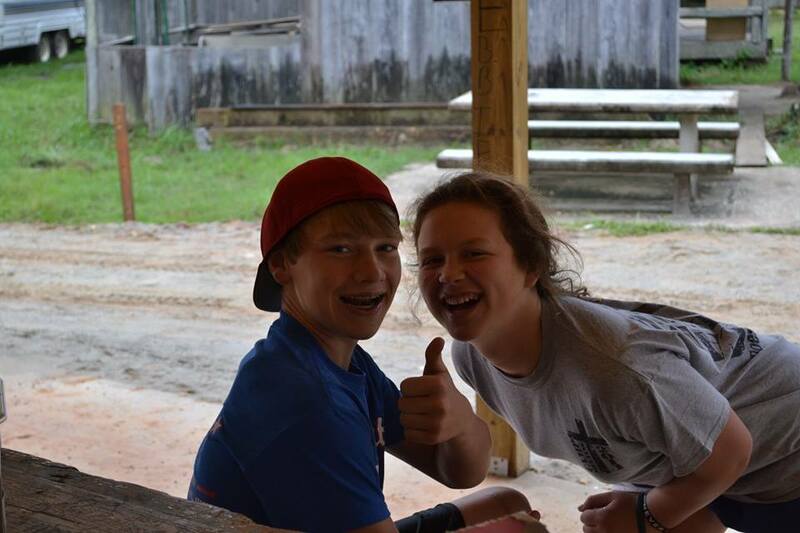 Davidson Campground continues to serve the community and provide an outline for fellowship and growth. 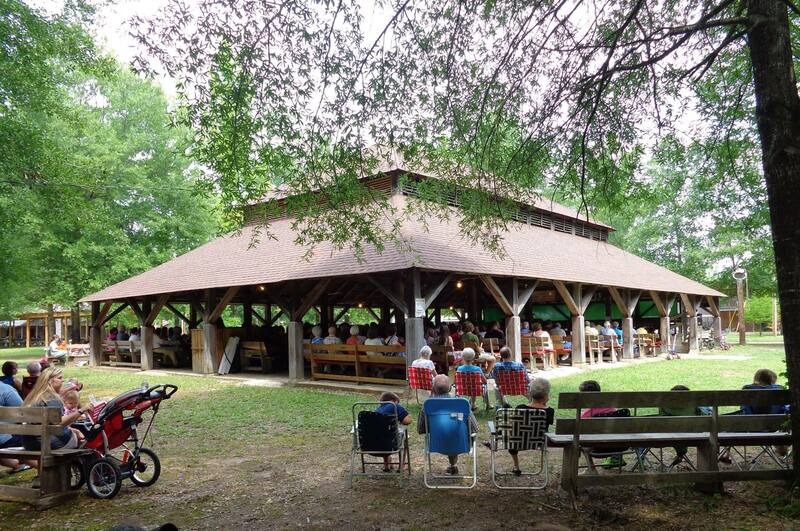 Davidson Campground will hold its annual encampment July 28, 2017, through August 6, 2017. 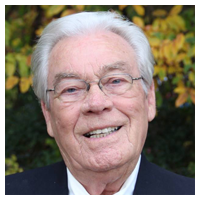 Services will be daily at 11:00 a.m. and 7:45 p.m. 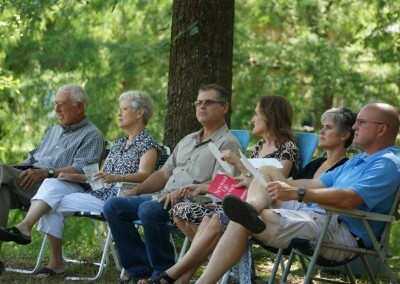 The dress is casual. An opening prayer service will be held on Thursday, July 27, 2016, at 8:00 p.m. 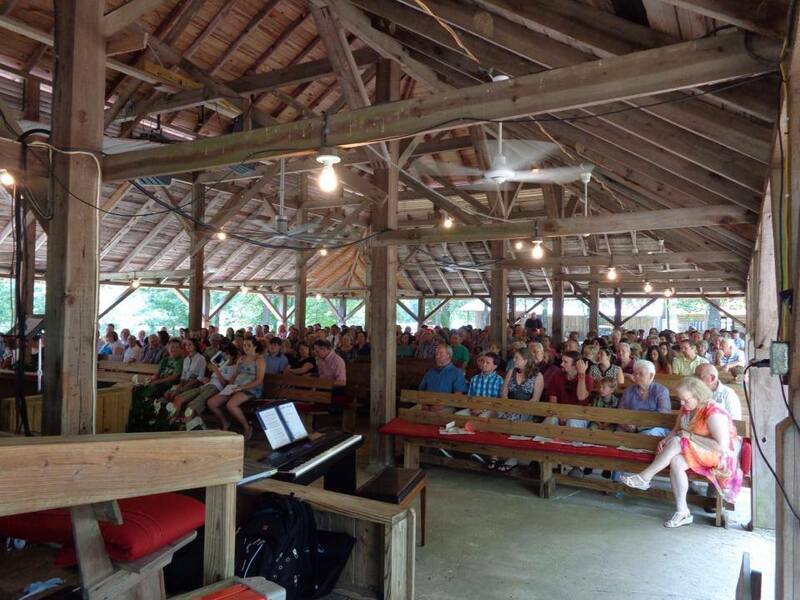 The memorial and closing service will be on August 6th at 11:00 a.m. Each night singing groups will be performing starting at 6:30 p.m.
Join our mailing list to receive the latest news and updates about camp meeting.